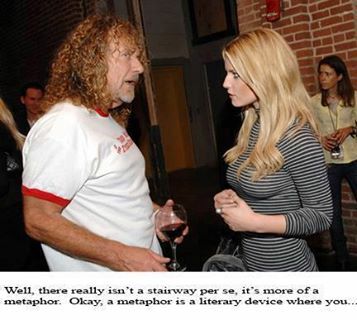 Many highly intelligent employees who are skilled and passionate in their area of expertise will glaze over like Jessica Simpson listening to Robert Plant when you try to talk to them about financial information. The following tips will help you talk about finances so non-financial management and staff will listen and understand. If there’s a bustle in your hedgerow, don’t be alarmed now. It’s just a spring clean for the May queen. No idea what I’m talking about? That’s what we sometimes sound like when we are talking financials to non-financial people. 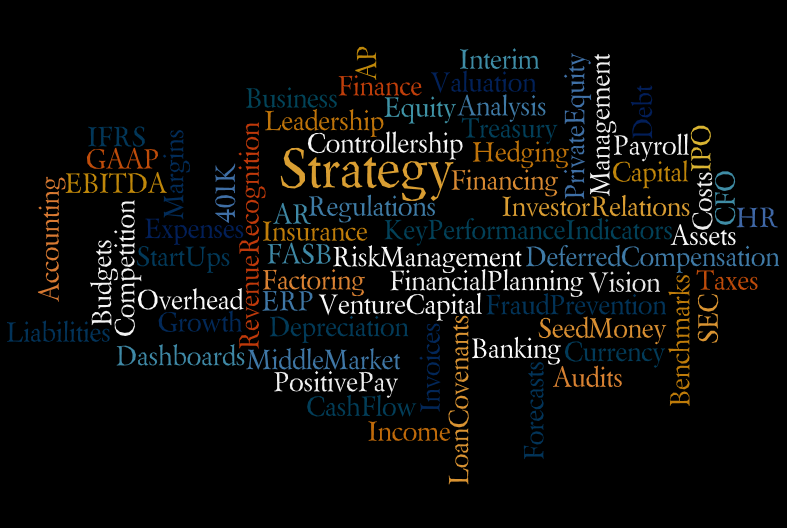 CFO’s are so accustomed to abbreviations like EBITDA and ROI; or to phrases like Working Capital and Discounted Cash Flows; or even to words like Accruals and Amortization, we forget these words sound like gobbledygook to some of our non-financial peers. Do not assume they will ask for the definition of terms they don’t understand as they may be too embarrassed. By keeping your jargon in check and stopping to explain the meaning of confusing terms, you will keep them engaged and win their trust. Speaking of trust, build it, ’cause you know sometimes words have two meanings. Non-financial people are often intimidated by financial discussions and they may feel you are trying to fool them. Once you have built their trust, they become far more interested and responsive in financial discussions. Getting to know your audience will help you build their trust. Go to lunch with them or activities outside of work. Give them credit for their accomplishments in front of others. Admit something self-deprecating like your love of Led Zeppelin. Most importantly, don’t do anything to erode their trust. Numbers are intimidating, but with a word she can get what she came for. Most CFO’s can look at a page of numbers in a detailed financial statement and quickly extract all the important information. Non-financial people do better with words and, better yet, graphics. The ability to create easy-to-understand graphics is a skill CFO’s need to master. Yes there are two paths you can go by, but in the long run, your message will be better received when you use consistent metrics. If you are constantly changing the metrics or not reviewing them on a consistent and frequent basis, they may not spend the time to figure out the message. When they see the same metrics over and over on a routine basis, they become comfortable with them, they learn how to quickly absorb the key information and they will review them as part of their regular routine. Following these tips may not help you climb the stairway to heaven, but they will make you a more popular CFO. More importantly, it will help you keep your company’s non-financial employees better informed so they can do their jobs more effectively. If you want an idea of how nonsensical financial jargon can sound, check out this hilarious random financial phrase generator. If you like this blog post, please share it with your connections and discussion groups on LinkedIn, or on Twitter or Facebook using the icons below. I am a huge fan of football and most other popular sports, but my favorite televised sport of the year is the Tour de France. It’s a grueling three-week, 2,000 mile test of skill, stamina and teamwork that often comes down to who wants it more. It’s beautiful to watch the sweeping helicopter views of the peloton careening through switchbacks on the side of a gorgeous mountain or splitting a roundabout in a quaint European village before weaving back together at high speed like a school of fish. On top of all that, it’s steeped in tradition, the fans are nuts, the crashes horrific, the announcers (Phil Liggett and Paul Sherwin) are British-accented poets, there’s something for everyone really. When climbing a mountain or a mountainous task at work, break it into manageable sections. The top of the mountain may seem insurmountable, but getting around the next turn never seems so bad. The same is often true for CFO’s in work situations such as a merger or ERP implementation. Know the road ahead and understand your competitive environment. Tour riders need to know the course and their competition so they can respond to an attack or take advantage of an opportunity when it presents itself. CFO’s need to position their company to be able to respond in the same way. That’s why financial planning, forecasting, benchmarking and SWOT analysis are so critical. Work as a team and recognize the efforts of your teammates. Team members block the wind, keep each other fed and hydrated, hand over their bike in the event of a mechanical breakdown or crash, or whatever it takes to get their team leader to the finish line. The guy wearing the yellow jersey is always quick to acknowledge the contributions of his team and share the glory with them. CFO’s need to do the same and encourage that type of teamwork throughout their organization. Remember these three tips and they’ll be kissing babies and throwing soft cheeses on the Champs-Élysées in no time. Inspiration can come from many places. For me, each July, it comes from the Tour de France. What inspires you? I met with a middle market company last week. It was owned by two charming brothers who had grown it over 20 years into a successful $30 million manufacturing business. We were discussing preparing the company for outside investment. If you ever listen to the NPR radio show Car Talk hosted by the venerable, Peabody-Award winning Tappit Brothers, Click and Clack, you have an idea of the type of guys who owned this business and how much fun I had talking to them. While touring the facilities, one of the owners was talking about their differing management styles and said his brother practiced what he called ‘Management By Dumpster Diving’. Each morning, he would tour the facilities and each time he passed a dumpster or waste can, he would poke his head in to see what was there. It was a 24-7 operation, so this was his primary way of determining the waste and efficiency of the operation the night before. The dumpster diving brother claimed he learned a lot of interesting information about his company and employees over the years. The other brother claimed he was preparing for a future life on the streets! This highlights what I love about entrepreneurs and why they need to make changes when they bring in outside investors. Entrepreneurs are there everyday, doing whatever they need to do to grow the business, taking risks, getting dirty if necessary, inventing their own methods and solutions that fit their unique business and personal management style. Private equity groups are not going to go dumpster diving to determine the previous day’s waste. Larger companies with offsite ownership need systems and policies in place to measure and report KPI’s such as raw material usage analysis and production efficiency. It’s not necessarily better or worse than the dumpster diving approach. It’s just a good example of how a management process that works for a company at a particular stage of it’s development will not work as effectively as it grows and the ownership structure changes. As an interim CFO for companies like this, I can help identify the necessary changes and implement them, before or after the change in ownership. Please contact me directly if I can help your company or private equity group in this capacity. For 7 tips on being successful as an interim CFO at private equity portfolio companies, click here. And feel free to share any interesting management techniques you’ve come across and post them in the comments below or tweet them to me @middlemarketCFO with hashtag #ManagementByDumpsterDiving. To read the announcement, click here. Companies that depend heavily on raw-material inputs or commodities are sensitive, sometimes significantly, to the price change of the inputs. For example, energy intensive manufacturers and transportation companies can be sensitive to the price of gas. Food product companies can be sensitive to fluctuations in the price of certain agricultural commodities. Futures contracts on commodities can mitigate a portion of this type of risk. Futures contracts are sometimes confused with forward contracts. While similar, they are not at all the same. A forward contract is an agreement between two parties (such as a wheat farmer and a cereal manufacturer) in which the seller (the farmer) agrees to deliver to the buyer (cereal manufacturer) a specified quantity and quality of wheat at a specified future date at an agreed-upon price. It is a privately negotiated contract that is not conducted in an organized marketplace or exchange. A flour miller is concerned about the risk of wheat price increases for wheat to be purchased in November. Wheat futures for December delivery are currently trading at $4.20/Bu, and the typical basis at the miller’s location is $0.15 over futures. The miller hedges this risk by taking a long position (buying) the December wheat future at $4.20. In November, the futures price has increased to $4.40, and wheat is selling locally for $4.55. The miller lifts the hedge by selling back the futures position at $4.40, resulting in a profit of $0.20/Bu. This profit is then applied to the cash purchase cost of $4.55/Bu, resulting in a net cost of $4.35, which is the price expected when the hedge was placed. This concludes the 3 part series explaining how middle market companies can hedge their risks with derivatives. Happy hedging! If variable interest rates leave your company exposed, you should consider an interest rate hedging strategy. The most common method is a ‘vanilla’ interest rate swap which can be used to effectively convert all or part of a variable (LIBOR + X) rate loan into a fixed rate loan, thereby mitigating the risk of fluctuating exchange rates. Simple example: You have a $2 million loan that pays a variable interest rate. You can enter into a swap agreement whereby you will borrow $1 million at a fixed rate and invest it in a security that earns a variable rate. This will reduce your exposure to fluctuations in the variable LIBOR rate. Another situation that may necessitate an interest rate hedging strategy is when you are anticipating a significant inflow or outflow of cash to take place in the future, perhaps one year from now. The viability of the strategy may depend to some degree on the interest rate at that time, and you do not know what that interest rate will be. By purchasing a Treasury futures contract, you could effectively ‘lock-in’ the interest rate now. This will take one important variable out of the equation and make it easier to focus on the other aspects of the deal. As with other types of hedging, remember the purpose of a hedge program is to mitigate risk.